Venture capital refers to the process of investors purchasing a portion of a start up company. 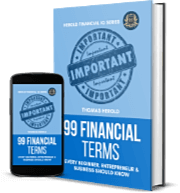 Firms or individuals that engage in this are called venture capitalists. They pour money into a firm that offers a high rate of growth but that also contains high risk. The typical venture capital investment time frame generally proves to be from five years up to seven years. Such investors anticipate getting a profit back on their investment through one of two ways. Either they hope to sell their stake in an Initial Public Offering to the public, or they hope to sell the company outright. Investors who involve themselves in venture capital investments often wish to obtain a certain percentage of the company’s ownership. They might also request being given one of the director’s seats. This makes it easier for the investors to ask to be given their funds back either through insisting that the company be sold or reworking the deal that they made in the first place. Venture capitalist investments are comprised of three different kinds. One of them is early stage financing that might be broken down into seed financing, first stage financing, or start up financing. Seed financing means that a tiny dollar amount of venture capital is paid to an inventor or other entrepreneur who wants to open a business. This might be employed to come up with a business plan, do market research, or bring on a good management team. First stage financing is the type needed as companies look to boost their capital so that they can begin full scale operations. Start up financing instead is venture capital distributed to a business that exists for under a year. In this stage, a product will not be on the market already, or will only just have been put on the market for sale. A second type of venture capital investments is known as expansion financing. Expansion financing is comprised of both bridge financing as well as second and third stage financing. Bridge financing refers to investments that only receive interest and are short term. They are mostly employed for company restructurings. They might also be utilized to cash out early investors. Second stage financing proves to be investment money for the purpose of growing a company already up and running. While such a company may not yet demonstrate actual profits, it is producing and selling merchandise. It also possesses inventories and accounts that are expanding. 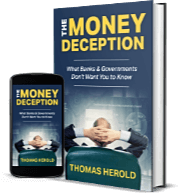 Third stage financing is investments that venture capitalists make in companies that have at least broken even on costs or are even starting to demonstrate profits. In this case, venture capital is employed to grow the business further. For example, third stage financing could be utilized to develop more or better products, or to purchase needed real estate. Still a different popular version of venture capital investing is known as acquisition financing. In this type of venture capital, the investment goes into gaining a stake in or the entire ownership of a different company. Management could also choose to use this venture capital to buy out yet another business or product line, whatever its development stage proves to be. They might acquire either a public or a private company in this way. 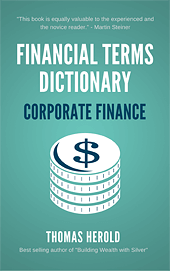 The term 'Venture Capital' is included in the Corporate Finance edition of the Financial Dictionary. You can get your copy on amazon in Kindle or Paperback version. See more details here.